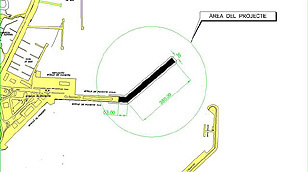 The Board of Directors of the Port Authority of the Balearic Islands (ABS) has chosen the company Ocibar S.A. for the exploitation of the moorings of the inner pier of Ibiza harbor and deal with the corresponding concession, in accordance with the proposal of the Technical Committee responsible for reporting on the bids submitted to the contest. The rental fee forOcibar S.A. will be 110,853.44 euros and the investment will be 303,529.94 euros. The objective of the undertaking is the two year operation of two floating docks, each one with a length of 75 metres and a width of 2.5 metres. A delegation from the Balearic Islands, headed by the chairman of the Port Authority of the Balearic Islands (APB), Francesc Triay and composed of various cruise ship agents and representatives of tourism from Ibiza, was present at the Seatrade Cruise Shipping Convention in Miami, from 11 to 13 March, to promote the Balearic ports as some of the most solid destinations in the Mediterranean. The primary objective of the representatives from the islands was to attract more cruising activity during the winter season, as the prospects for high season are already very good. The Port Authority of the Balearic Islands will construct a new 16 million euro passenger terminal in the port of Alcudia. The Port Authority of the Balearic Islands (APB) has opened the competition for the construction of the new passenger terminal in the port of Alcudia, with an estimated budget of 15.908.496.36 euros. The project will include the construction of two fixed footbridges for boarding and disembarking passengers.The building will have a surface area of approximately 3,600 square meters, with a height of under twelve meters. PAB will build two new berths in the port of Palma for cruise ships of over 300 metres in length Palma de Mallorca, December 5, 2007. The Port Authority Balearic Islands (PAB) presented today, the project for the construction of a new pier at the western end of the existing docks of Poniente in the Port of Palma, which will provide dockage services for two large vessels, mainly cruise ships. The proposed construction will make it possible to dock four vessels of great length in this zone of the port. Construction work on the Poniente docks in the Port of Alcudia has been completed. The project consisted of expanding the esplanade toward the northwest and gaining approximately 27,500 square meters of surface area over water. It will give the docks a new line of dockage, with five meters draught, for regular passenger and freight traffic, as well as a pier for local traffic and includes the necessary dredging operations of the new access channel. The project carried out by U.T.E. 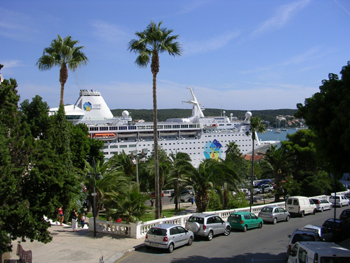 The Port Authority of the Balearic Islands (PAB) registered an increase of the 25 percent in the number of passenger tourists arriving to the islands in the first semester of 2007. In total, 446,647 passengers arrived to the Balearic Islands by cruise ship, up until the 30th of June, as opposed to 357,270 passengers who registered during the same period of the previous year. In relation to the ports, Mahon led in growth with an increase of 57 percent and a total of 36,656 passengers. 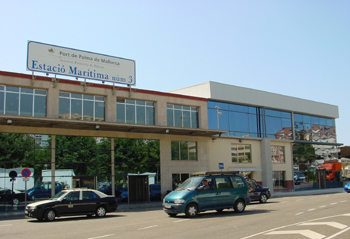 This summer the new Ferry Terminal nº 3, located at the Partiers Wharfin the Port of Palma, became operational after finalizing theamplification and reforms of the facility. The reformation, carried out by UTEFerrovial Agroman SA and Centro de Montajes, included the constructionof a direct access to the ground floor of the terminal, which is thelocation of a new baggage distribution zone and departure lounge. Withthis reform, boarding and disembarking activities are separate for the firsttime, making passenger traffic more comfortable and more secure. The PAB sent to be published today in the BOE, a public notice with information concerning the Environmental Impact Study (EIA) of the proposed berthing facility for large ships at the Poniente piers in the port of Palma de Mallorca. The final draft of the study and of the project itself, are available to the public offices concerned, interested individuals and the general public, in the offices of the PAB in Palma. Comprehensive rehabilitation of Cales Fonts (Port of Maó) has been completed. The new road and cobbled terraces are already in service. The website of the Balearic Islands Port Authority (APB) has a new design and utilities at the service of the users.